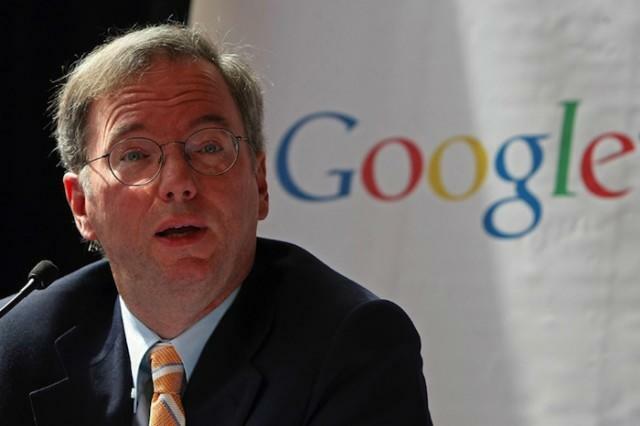 Schmidt on Android v. Apple: "We're Winning that War"
Google chairman Eric Schmidt recently provided his opinion on the ongoing battle between Android smartphones and tablets versus Apple’s own devices. Who’s winning? According to Schmidt, Android and Google are. This is a multi-front war, though, and isn’t really just one “battle.” Google is fighting Apple in the ad space, fighting Apple with physical tablets and smartphones, and fighting Apple in the courtroom over patents. If Apple’s win over Samsung is any sign, Apple’s winning the patent war. On a global scale, however, Android is beating iOS in the mobile operating system market. Gartner said in May that Android has a lion’s share at 56.1 percent to Apple’s 22.9 percent market share. So in that view, Android is winning. We can’t forget growing smartphone markets like China, either, where ZTE, Huawei, Samsung and others have pushed Apple out of the top five phone vendors. That’s helped bump Android to a 90 percent market share in China, too. Still, the iPhone 5 and Apple’s new iPads are selling like hotcakes in the United States. So who’s winning? Well, that really depends on the topic and who you ask. Of course Schmidt wants investors to think Google is winning, but I think that’s really up for debate.